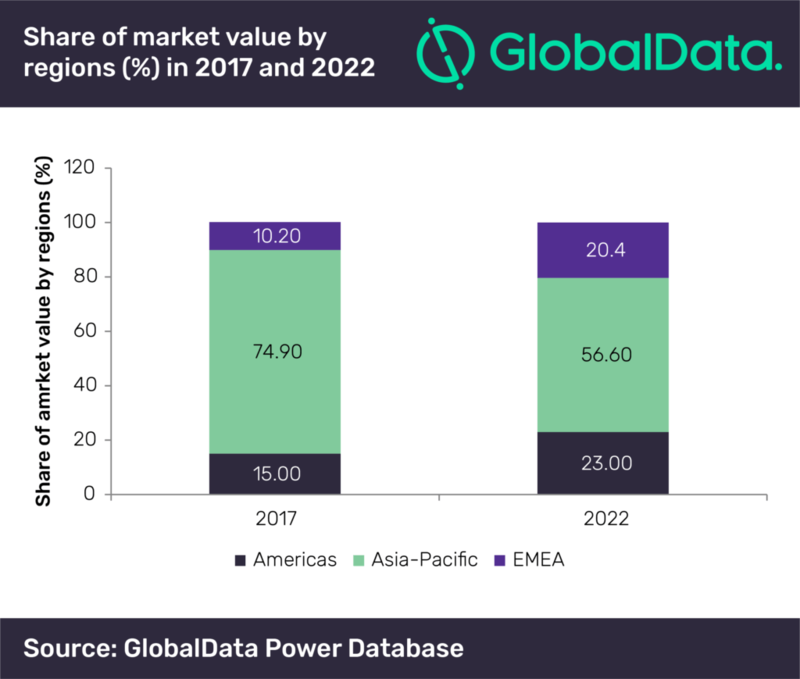 Despite a drop in its share, the Asia-Pacific (APAC) region, with its large population base and strong requirement for electricity generation capacity, will continue to influence the global solar PV module market over the forecast period 2018-2022, according to GlobalData, a leading data and analytics company. The company’s latest report, ‘Solar PV Module, Update 2018’, reveals that market saturation, reduction in subsidies and declining costs of technologies are the major factors impacting the global solar PV module market. It states that the global market volume is estimated to decline at a negative compound annual growth rate (CAGR) of 2.8% from 87.5 gigawatt (GW) in 2018 to 78.13GW in 2022. The large markets of China, India, Japan and the US are likely to decline, due to changes in their energy markets. In 2017, APAC constituted 73.6% of the market value due to the significant movements in the Chinese market. The various levels of economic progress exhibited by countries within APAC will help sustain the market for PV modules, despite a dip in the Chinese market. China, the largest market for solar PV is likely to see a decline in its market value, at a negative CAGR of 14.8% over the forecast period. Over the forecast period, the EMEA region is estimated to have the highest solar PV installation growth rate of 7.5%. The European market is projected to hold steady over the forecast period, with Germany, France and Turkey contributing to the capacity addition.